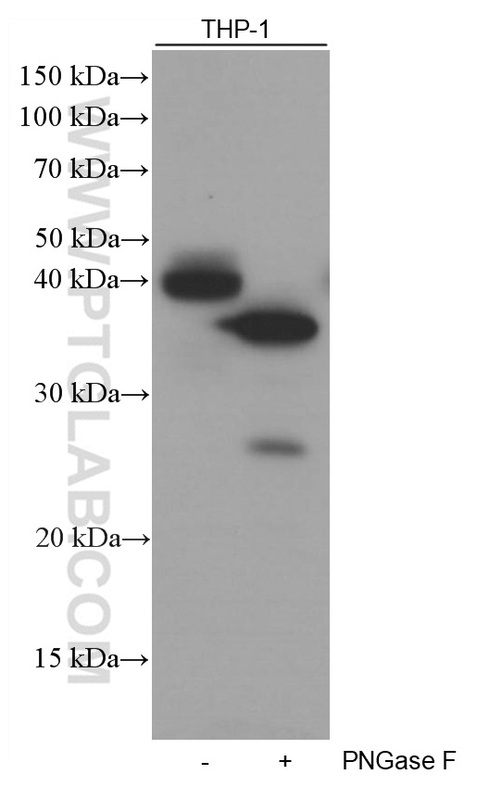 Untreated and PNGase F-treated lysates of THP-1 cells were subjected to SDS PAGE followed by western blot with 66529-1-Ig (FCGR2A / CD32a antibody) at dilution of 1:10000 incubated at room temperature for 1.5 hours. PNGase F was obtained from Atagenix (cat.NO. ata808). 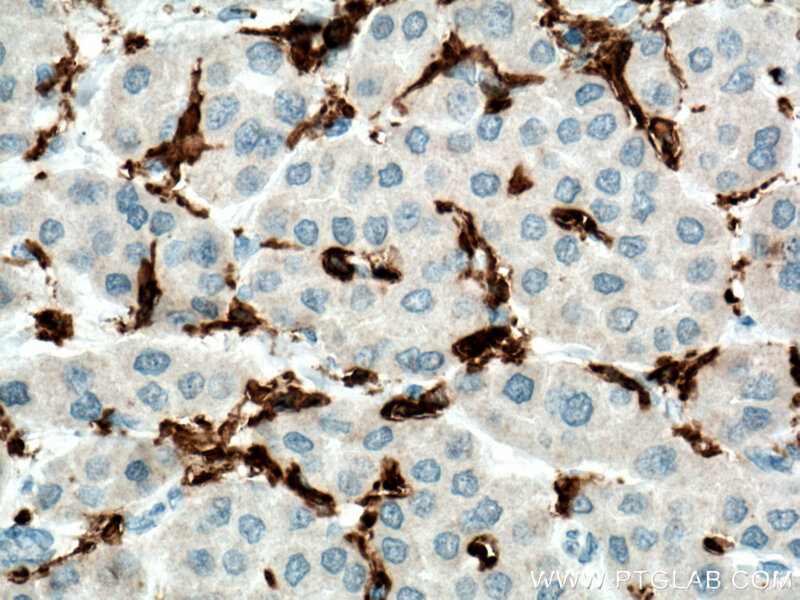 Immunohistochemistry of paraffin-embedded human liver cancer tissue slide using 66529-1-Ig (FCGR2A / CD32a antibody) at dilution of 1:5000 (under 10x lens) heat mediated antigen retrieved with Tris-EDTA buffer(pH9). 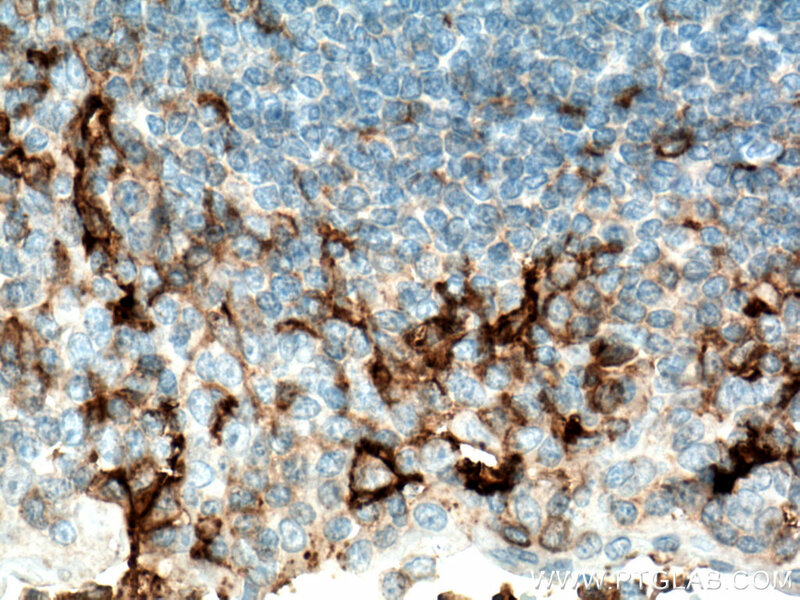 Immunohistochemistry of paraffin-embedded human liver cancer tissue slide using 66529-1-Ig (FCGR2A / CD32a antibody) at dilution of 1:5000 (under 40x lens) heat mediated antigen retrieved with Tris-EDTA buffer(pH9). IgG Fc receptors (FcγRs) play important roles in immune responses. 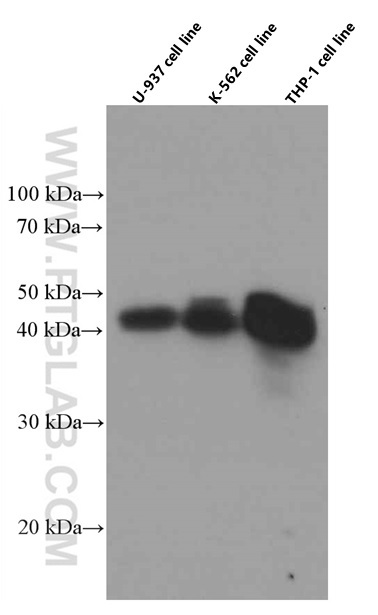 Low affinity IgG Fc receptor Fc gamma RIIa (FCGR2A, CD32a) is a cell surface receptor found on phagocytic cells such as macrophages and neutrophils, and is involved in the process of phagocytosis and clearing of immune complexes. 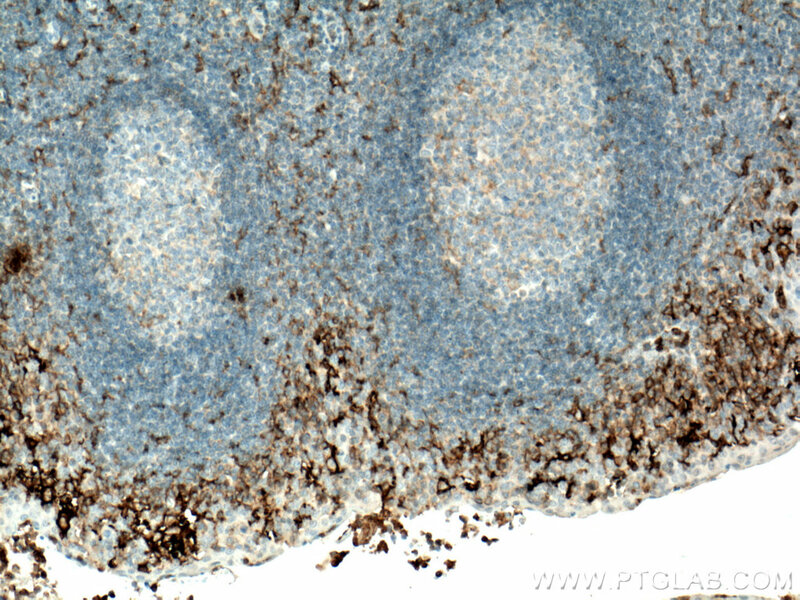 Immunohistochemistry of paraffin-embedded human tonsillitis tissue slide using 66529-1-Ig (FCGR2A / CD32a antibody) at dilution of 1:5000 (under 10x lens) heat mediated antigen retrieved with Tris-EDTA buffer(pH9). 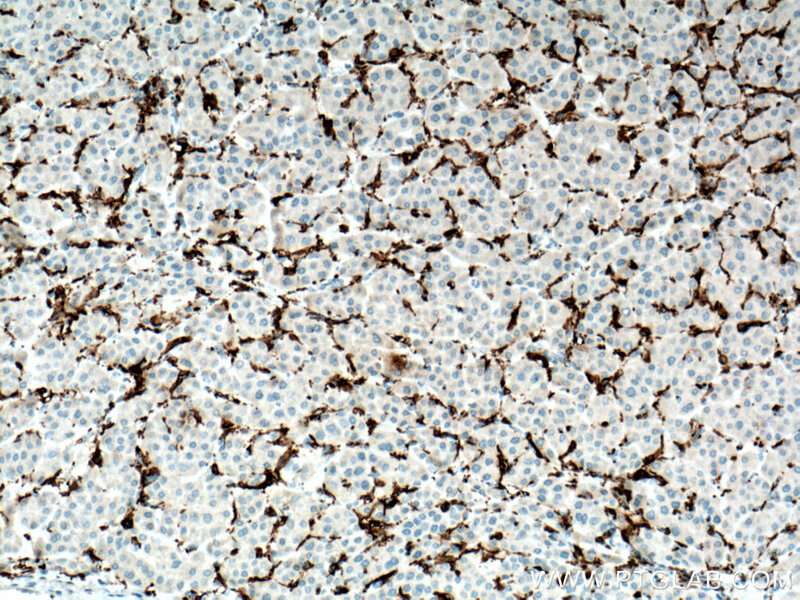 Immunohistochemistry of paraffin-embedded human tonsillitis tissue slide using 66529-1-Ig (FCGR2A / CD32a antibody) at dilution of 1:5000 (under 40x lens) heat mediated antigen retrieved with Tris-EDTA buffer(pH9).